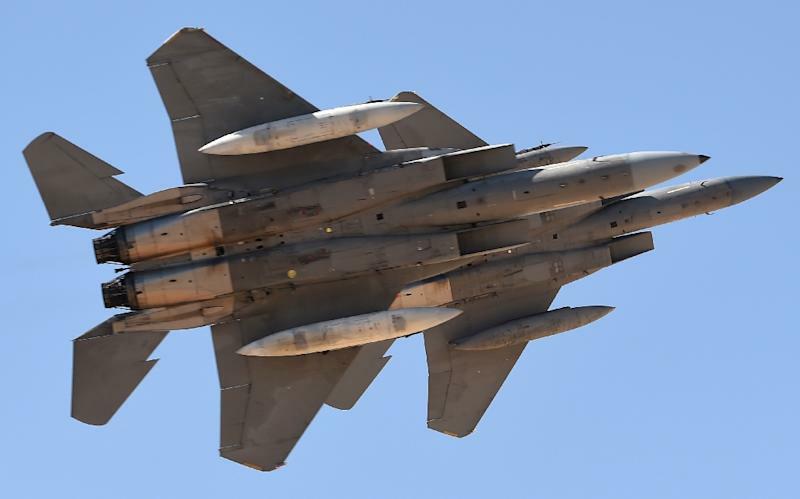 Dubai (AFP) - A series of Saudi-led coalition air strikes which killed 26 children in Yemen in June amount to war crimes, Human Rights Watch said on Monday. "The attacks, which struck four family homes and a grocery, in one case killing 14 members of the same family, caused indiscriminate loss of civilian life in violation of the laws of war. Such attacks carried out deliberately or recklessly are war crimes," the New York-based HRW said. Saudi Arabia leads an Arab military coalition that intervened in Yemen in 2015 to support the government of President Abedrabbo Mansour Hadi after Iran-backed Huthi rebels forced him into exile. HRW is urging the United Nations Human Rights Council, which is currently in session, to return the coalition to its yearly "list of shame" for violations against children in war. The UN blacklisted the coalition after concluding in a report released one year ago that it had been responsible for the majority of children's deaths in Yemen. But in an embarrassing climbdown, the world body then announced that the coalition would be removed from the list. The then UN chief Ban Ki-moon admitted at the time that the decision was influenced by threats from Saudi Arabia and its allies to cut off funding to UN aid programmes. Saudi Arabia holds a seat on the 47-member Human Rights Council, re-elected in October last year in a vote sharply criticised by rights groups.